One of the most useful tools in the SolidWorks Customer Portal has had a bit of a facelift today which is sure to be a hit with all SolidWorks users. 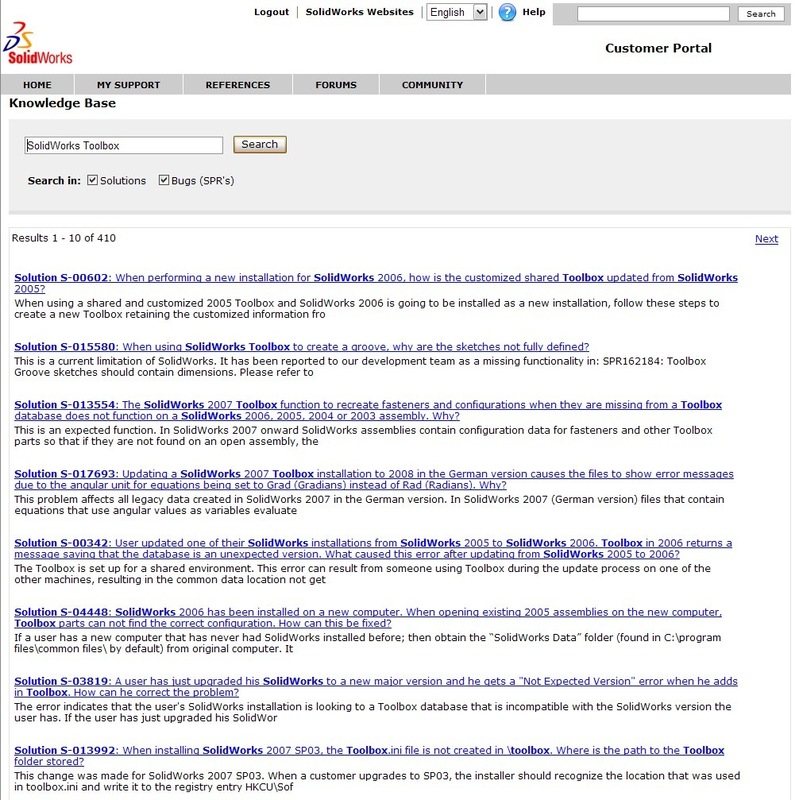 The SolidWorks Knowledge Base allows you to search posted Solutions and known Bugs (SPR’s) to get more details on topics across all SolidWorks products. 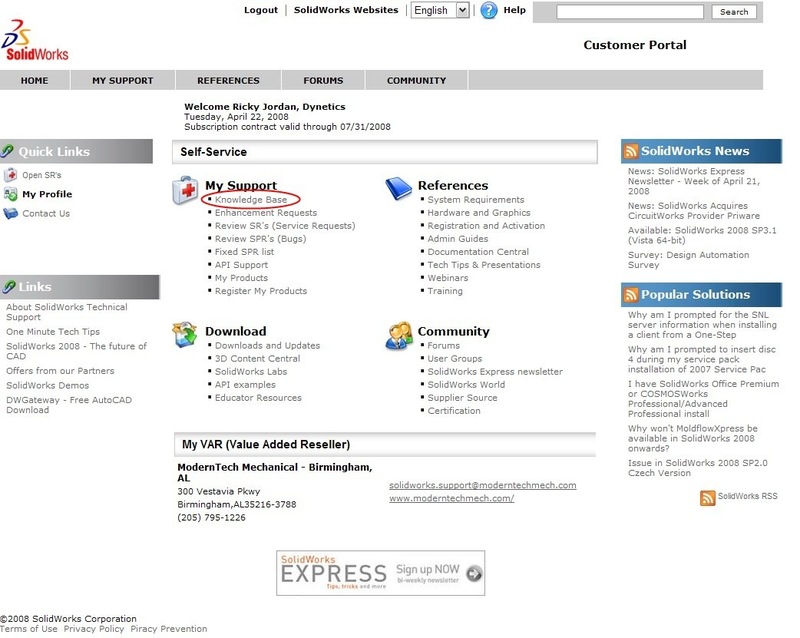 It is the first link listed under the “My Support” area of the Customer Portal home page. The previous search worked OK but was sometimes a little inconsistent in how it found results. The new search tool itself doesn’t really look all that different when you pull it up but when the search results come up everything is much improved. The advanced search option is now gone and is simplified with the option to search “Solutions” and/or “Bugs”. The search results are now posted in a more readable format that doesn’t include a table of results like before. Previously the searches seemed to be limited to the top 25 solutions. The new search lists the total number of results based on your keywords. You can advance through the results using the “Prev” and “Next” index links. I believe this is one of the most under utilized tools available to SolidWorks users. I encourage everyone to search this database if you have questions before attempting to contact technical support. I can’t count the number of times I have found answers quickly with this tool. The Solutions and SPR’s are directly connected to the SolidWorks Technical Support database and is updated daily. Check it out if you haven’t had the chance. If you do not have a login to the Customer Portal, talk to your CAD Administrator. Is it a Toolbox Part?